If you wrote off Garmin (NASDAQ: GRMN) stock after GPS-enabled smartphones began disrupting the company’s automotive navigation device business some years back, it’s time for you to take another look. The company just wrapped up its second straight year of sales and profitability gains, despite challenges in a few of its biggest market niches. Garmin expects that momentum to continue in 2018, and shareholders can count on an added boost to their ROI from its recently hiked dividend . There are better reasons than a meaty 3.5% yield to consider investing in this solid business, though. Garmin’s 2017 results demonstrated the power of its diversified product portfolio. Sure, revenue from its automotive GPS segment shrank last year, as they have annually for almost a decade now. At the same time, the fitness tracker division, which was critical to its 2016 growth, contracted as customers abandoned entry-level trackers in favor of more-premium designs. 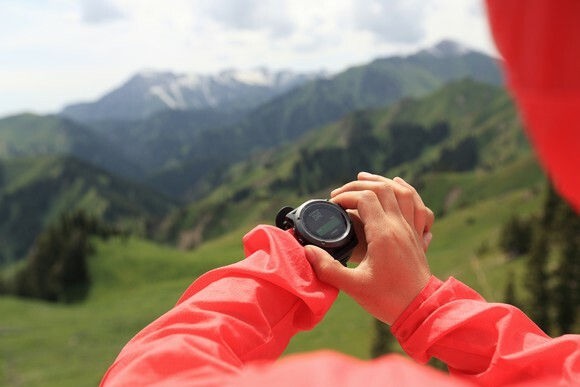 Yet Garmin still managed a 2% overall revenue increase for the year thanks to healthy demand for its smartwatch products and double-digit percentage sales spikes in both its marine and aviation segments. 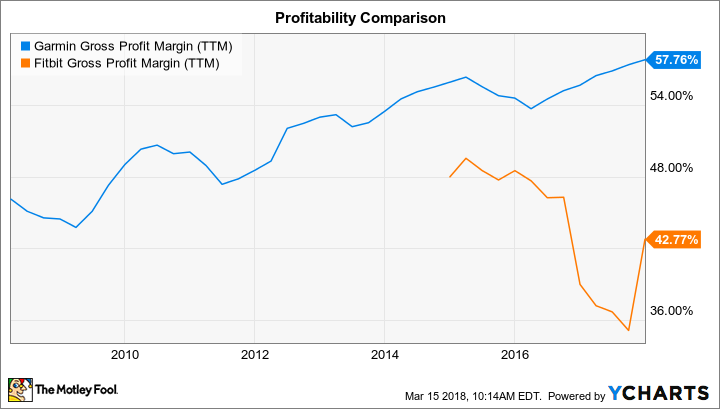 Compare that to the results from far-more-specialized Fitbit (NYSE: FIT) , where sales contracted by 26% last year, and it becomes clear why investors should appreciate Garmin’s broad portfolio. Garmin’s 2017 success wasn’t just the result of one or two hit products, either. The GPS giant launched dozens of new devices across its business categories last year, and the sales those fresh releases generated show that the company has figured out how to respond to rapid shifts in consumer demand. Its fenix franchise was a standout in the smartwatch category, but Garmin also achieved notable design and marketing wins with new aviation systems, as well as with innovative fish finders and chart plotters for its boating customers. Its impressive track record on recent product releases should give investors confidence in management’s forecast for third straight year of overall sales growth, even as its automotive segment contracts sharply, and the fitness division holds roughly steady. Overall gross profit margin improved to 58% of sales last year from 56% as demand shifted toward its newer, feature-packed products. In fact, each of Garmin’s five product categories either held steady or improved in profitability in 2017. And Garmin’s fitness segment margin held steady at 55%, even as Fitbit’s comparable metric was stuck at 43%. Garmin’s expenses rose at a slower pace than revenue, too, which allowed it to post another solid increase in operating income for the year. It rose to 22% of sales from 21% a year prior. CEO Cliff Pemble and his team are targeting another gross profit margin uptick in 2018. Operating profitability should hold steady as sales inch up to $ 3.2 billion from $ 3.1 billion last year. All that should translate into earnings gains of at least 4% as EPS improves to $ 3.05 per share. The dividend will take up $ 2.12 per share, or nearly 70%, of those expected profits. But there should be room for the payout to rise as long as Garmin keeps making the appropriate upgrades to its device portfolio, just as it has in each of the last three years. David and Tom just revealed what they believe are the 10 best stocks for investors to buy right now… and Garmin wasn’t one of them! That’s right — they think these 10 stocks are even better buys. Demitrios Kalogeropoulos has no position in any of the stocks mentioned. The Motley Fool owns shares of and recommends Fitbit. The Motley Fool has a disclosure policy .